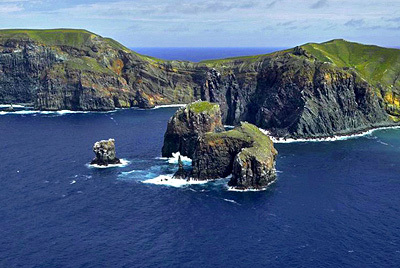 This is an extraordinary opportunity to visit a very remote island archipelago that few ever set foot upon. 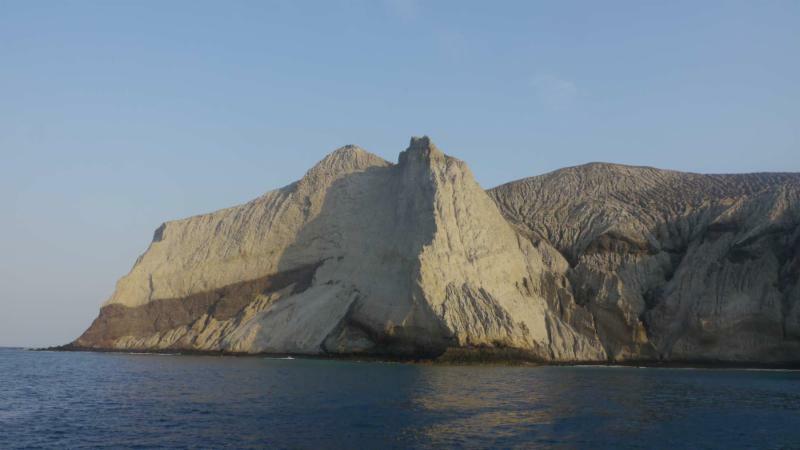 Research and Ecology Expedition to Mexico’s mini-galapagos islands! 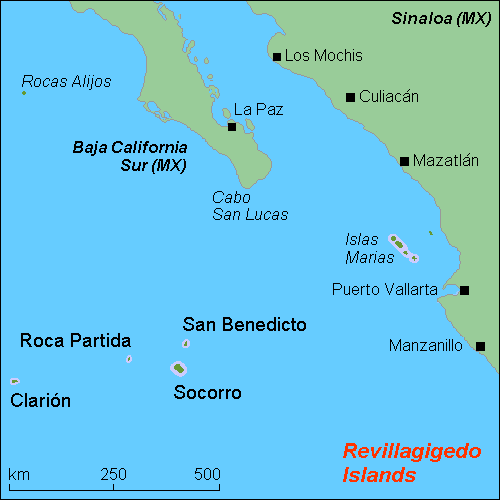 – Three amazing islands (Clarion, Socorro and San Benedicto), 300 miles from the tip of the Baja California Peninsula. Below follows a very approximate itinerary for each day of the trip. 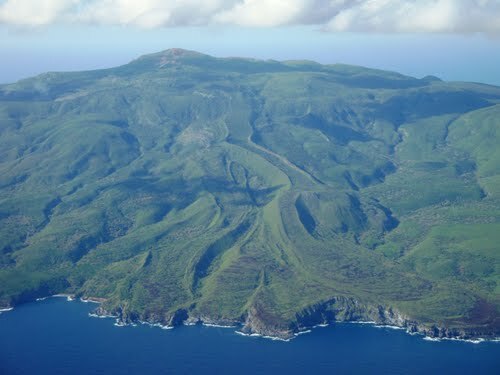 Note that for the island-bagger in you, we have some bonus island stops on our way south, to break up the long drive. Please note: We leave early the morning of the 9th, if you are traveling any distance please plan to arrive the night of the 8th. The boat will leave at 8:30 am, with boarding at 7 am for orientation etc. Getting you home: We recommend the fly-back option from Cabo San Lucas, since the last three days of travel against the current are often difficult conditions (high swells) but please note that this is an additional expense, and please make your own flight arrangements for the morning of the 23rd – we can get you to the airport. If you have all the appropriate permits we welcome you to conduct your own research during the trip. We plan to compile data gathered during the trip on the travel days and generate a report of our findings. Within the necessary timing of the arrivals and departures we will provide as many hiking opportunities as possible. Please plan to hike with at least one other person or bring your own satellite communication device such as a SPOT or Garmin text message communicator, or hand-held radio. We anticipate excellent bird and whale-watching on this trip (especially around Roca Partida where we hope the humpbacks might be breeding). Please note, due to some heavily shark infested waters, snorkeling will only be an option on certain days in certain locations (Socorro and Clarion Islands for example, but not Roca Partida). Diving with compressed air is not an option on this trip. If you have special research requests please let Sula know as early as possible. $5200 per person, based on two people sharing a cabin. To make the trip more comfortable, participants will be limited to 25 people. Price includes all meals, but does not include beer and soda. All passengers should buy a fishing permit (trolling on travel days). You are welcome to bring your own alcoholic drinks. (Wine will be served with dinner on four nights only). Expected gratuity: 10-15% tip for your hard-working crew – you will see that they more than deserve it! All balances must be fully paid by December 1st 2016 (for refund information see the Shogun webpage). Subject to change with weather conditions. Feb 23rd – Arrive Cabo San Lucas early am. Flights to San Diego. To sign up or learn more, please contact Sula Vanderplank via sula.vanderplank@gmail.com.